It’s the age old question on every international traveler’s mind. More important than flight details or where they’re going to stay. More pressing than the sightseeing or the dining or the evening entertainment. The answer to which assures their very survival while away…. Ok. So maybe this is a much more recent phenomenon. And maybe access to the Internet isn’t really all that important while traveling. But the truth remains: the ability to keep in touch with friends, family and work, to use your GPS location to find a restaurant, to post a picture to show everyone else what they’re missing out on – these things are important to today’s traveler. And you can’t do them without Internet access. So here we demystify the process of accessing the Internet while traveling abroad and provide you an overview of your options. Using your own carrier may be the most straightforward approach to accessing the Internet while traveling. The key is to review and sign up for your carrier’s international plan in advance of your trip. AT&T now offers an International Day Pass, which is a $10 flat rate per device (e.g., phone and laptop) per day of usage in the foreign country you’re visiting. Essentially, you take your existing phone and data plan with you and use it just as if you were using it at home. The pass includes unlimited calls within the 100+ countries covered and unlimited texting globally. Photo uploads, such as to Facebook and Instagram, and browsing the Internet will use data already allotted in your monthly plan. The nice thing is, you won’t get nickeled and dimed on data unless you go over, but you can always add more data to your package as you go. Verizon offers a similar plan called TravelPass, a $5 per day per device charge for Mexico and Canada, and $10 for use in more than 100 countries covered by the pass. To minimize data usage while traveling you’ll want to turn off anything running in the background, such as email or push notifications from certain apps. This way you’ll have more data to play with for photos and other app tasks you might need. You’ll find free public WiFi in many spots overseas just as you would at home. 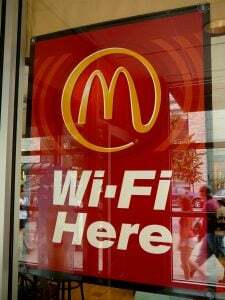 Starbucks and McDonalds have free WiFi, for example, but there may be a 30-minute courtesy limit in some spots. In Japan some convenience stores, such as 7-Eleven, offer public WiFi, and in some places you can ask to jump on the WiFi of a café or shop just by asking for the password. Public libraries are still a good place to find free WiFi as are hotels and guesthouses. Also, don’t forget about airports and government buildings. You can use your phone, tablet or laptop to access these hotspots. As with public WiFi at home you need to be wary of using this connection for personal information, such as banking or anything involving account numbers and other secure information. If you have a need to keep on top of financial information while you’re traveling, you may want to consider a more secure option, such as having your own personal hotspot (see option 4 below). If you’re just using Facebook and texting friends and family, public WiFi is a reasonable way to go. You’ll want to do one of the following two things before you exit the US to make sure you can use WiFi while avoiding those hefty and unwanted international roaming charges. First, go into your phone’s settings and switch roaming off for the duration of your trip. Or, switch your phone into Airplane Mode for the duration of your entire trip. Then, whenever you want to access WiFi, just switch it on and go about your business. As always, you should check with your phone carrier before you go with any of these options. The provider can advise you on any particular actions you need to take to protect yourself from surprise data charges. This option is for people who are a bit more tech-savvy and confident because it does require some legwork. A SIM (subscriber identity module) is a “smart” chip inside your phone that holds things such as your contact lists and archived text messages. It can be replaced with a prepaid International SIM, which gives you a new number and calling and data plan in the country you’re going to. A new SIM can also be purchased in some airports in destination countries. 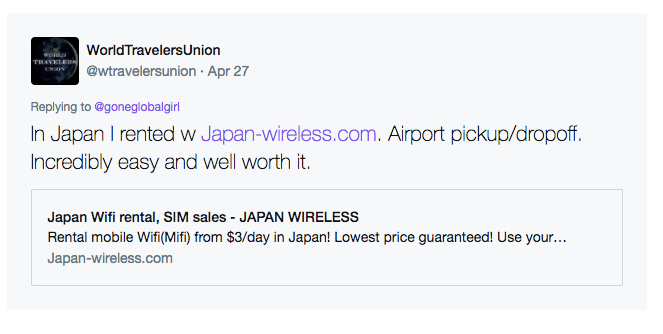 The advantage of having a local SIM is that it may be able to save you some money compared to your carrier’s international plan. First, however, you’ll need to find out if your phone is global ready (most newer phones are), and that your phone takes a SIM. You can check with your carrier to answer both these questions. Your phone will also need to be unlocked in order for the exchange of the SIM. If possible, try testing a replacement SIM at home before you go. 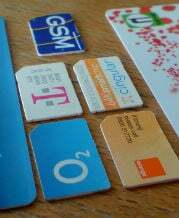 SIM cards cost approximately $20 to $30. Keep in mind that if you do use SIM abroad, you won’t be using your own phone number. You’ll need to share your new number with people if you want to be in phone contact while you’re gone. For more in-depth information about using a SIM, and more general tips for using your phone abroad, we suggest you read another of our blog posts: Using Your Cell Phone Abroad. Having your own personal hotspot (a “router in your pocket”) while you travel gives you a level of confidence that your information and data transmission is secure. With this option you have a secure wireless network and unique password, just as if you were using your secure WiFi in your home. Having a hotspot may also be beneficial if you need to count on Internet connection without worrying about where to find the next WiFi spot or how to gain access in unfamiliar locations. This option also makes sense if there are multiple people in your travel party requiring access for multiple devices. Companies like Keepgo offer the hotspot device and accessories along with 16GB of data to start with for $119 at time of writing. You can connect up to 10 devices, including laptops, tablets and phones, and you can refill your data whenever you need. Keep in mind that the more devices using your hotspot at once, the more bandwidth is being used, which may slow things down a bit. Personal hotspots are also readily available for rent. Tep offers a rent-by-mail option so you can get acquainted with your hotspot before you go and return it all by mail when you come back. You can also pick it up or drop it off at local airports. The cost is $9.95/day for up to five devices at a time with no data limits. If you’ve got a Fi-ready device (currently Google’s Pixel, Nexus 6P and Nexus 5X) you can take advantage of Google’s Project Fi, offering wireless services spanning the planet for the same cost as your regular plan at home. You can use your phone as a personal hotspot (private and secure connection) at over a million WiFi spots in more than 135 different countries. Data is $10 per GB and you never get charged penalties for overages. In fact, if you use less than your plan allots for the month, you get the money back in your account. Unlimited calling and texting are included, of course. Regardless of which WiFi approach works for you, and depending on which countries you’re visiting, staying connected while traveling isn’t guaranteed. In fact, in many of the places we visit, the connection will be slow or non-existent. But is that so important anyway? After all, we believe it’s important to disconnect occasionally so that you can take the time to reconnect occasionally with our spectacular world. 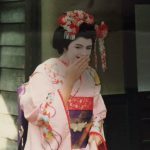 Kennerly Clay has traveled extensively throughout Asia, the South Pacific, Central America and Europe. Her adventures include mingling with Zapotec Indians in Oaxaca, drinking bilos of kava under the full moon in Fiji, skydiving in New Zealand, koala snuggling in Australia, riding elephants in Thailand, trekking Nepal’s Himalaya, shooting an AK47 in Cambodia, and dancing in the streets of Chau Doc to Santana tunes with a toothless Vietnamese grandmother. She now lives an adventurous life with her husband and two sons in the Philadelphia suburbs. Read her blog at girlgoneglobaltravel.com and find her on Twitter (@goneglobalgirl), Instagram (@girlgoneglobaltravel), and Facebook. Hi Holly! We don’t have any expertise in rental cars featuring WiFi HotSpots (other readers, feel free to chime in!) but we would venture a guess that coverage is similar to here in the continental US in that near urban areas it’s stronger and conversely less available in the countryside. I am going on Authentic Havana in October. I just returned from another overseas trip where I added roaming, but was advised that the plan is not available in Cuba. Do we know if the Google Fi will work in Cuba, or should we just count on not having any connection and sit back and enjoy the reprieve :)? thanks! Hi Jeanne! It is our understanding that Google Fi does technically service Cuba however we would not suggest expecting it as internet there can be very unreliable and often times does not work at all. We do suggest sitting back and enjoying the reprieve though!